Ermias (Nipsey Hussle) was about to move mountains, before his young life was taken away. Last edited by Zmeselo on 15 Apr 2019, 17:20, edited 2 times in total. Re: Ermias (Nipsey Hussle) was about to move mountains, before his young life was taken away. —Eritrea means in Greek language “Red Sea”. Would you tell us the features of your country? Eritrea straddles on the Red Sea Coast of Africa. It is a strategic location occupying mainland and island coastline of 3,300 kilometers length on the main trading route of the world connecting Asia, Europe and Africa. History of Eritrea is as old as mankind. Abdur archeological findings in Eritrea – 125,000 years old – are the earliest, best-dated evidence for human occupation of a coastal marine environment in the world. Adulite Ancient Empire from 9th C BC to 5th C AD functioned as a major regional center for commerce and trade on the Red Sea Coast of Eritrea with the rest of the world and Africa. Located in this trade route of the world, Eritrea offers location, resources, business and investment opportunities to the rest of the world as well the hinterlands of Ethiopia and Africa. Driving from the Capital city Asmara to the Port of Massawa or borders of Ethiopia and Sudan takes you through different seasons and climate zones. 354 coral islands are marvels of nature on the clean coastal areas of the country that is very rich in marine biodiversity. The erratic landscape in the country, at a short distance, and in the tropical area allows people to experience “3 climates within 2 hours drive”. The capital city Asmara is UNESCO World Heritage Site. Eritrea took 10 Gold out of 13 events in the 2018 African Cycling Championships. Eritrea has been deeply influenced by the push and pull of the Mediterranean and Mesopotamian centers of power and money of the region in its long history. In modern history, it has been the main attraction for geo-politics in the region – Ottoman expansion, Egyptian, Italian, British, USA and USSR until its independence in 1993.Many historical landmarks are spread all over the country testifying these. Written laws, which predate the Magna Carta and own Geez Alphabets from the third century AD are key heritages of the country. Eritrea is currently working with Egypt, Ethiopia, Saudi Arabia, Somalia and United Arab Emirates in numerous strategic efforts of peace and cooperation to stabilize the region. 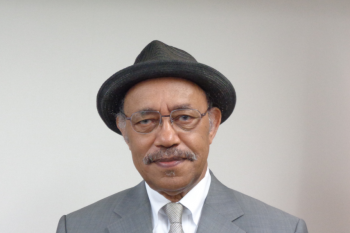 —What are the challenges for strengthening friendly relation between Japan and Eritrea? Japan – Eritrea relations date back to the “Italian Colonial Administration of Eritrea”. Japan and Eritrea had a very active trade and investment cooperation since that period. Diplomatic relations between Japan and “Italian Colonial Administration of Eritrea” was established on September 1936. Local and Japanese experts from Nippon Mining revealed major sulfide deposits occurring in the areas of Embaderho, Adi Rassi, Debarwa, Adi Nefas, Weki and other areas in Eritrea in the early seventies. Japanese companies made several investments in leather, cotton, house-wares, aluminum and other small and medium manufacturing enterprises in Eritrea in the late sixties and early seventies. Japan started the Economic Cooperation Fund (OECF) for Africa in the early 1970. The first yen-loan agreement was signed with Ethiopia in May 1973. This period coincides with the beginning of Nippon Mining and investment activities in Eritrea. As in the past, location, business, resources and partnerships are still the corner stones of future Japan – Eritrea relations. Eritrea has tried its level best to forge partnership with Japan through the TICAD process but the challenge is still there because of post cold war considerations and the usual geo-political reasons. —The constitution of Eritrea is not enforced yet. Is the Government’s democratization effort progressing? 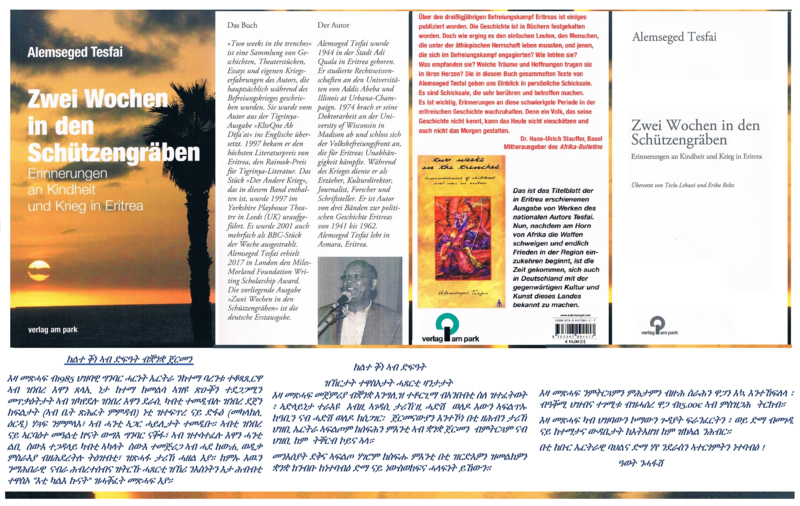 Eritrea’s past or present history is based on hard facts. Eritrea was home to US military multi-faceted secret military bases code named Truck A, B, C, D, E, F, G and H from 1941 to 1976 all over its territories. It is in this particular period Ethiopia backed by the US decreed a detention law preventing our right for peaceful public gatherings, arrested news paper editors, banned freedom of press, shut down independent publications, drove prominent leaders of Eritrea into exile, banned our trade unions and political parties, replaced the Eritrean flag with its flag, forbade using our language in our schools, moved industries from Eritrea to Ethiopia dissolved our parliament and the federal constitution, etc. Eritrea knows these because it came out of age through them and other experiences including unduly and unnecessary interferences in its contemporary history from Israeli, USSR, WARSAW PACT, Cuba, Iraq, Yemen (Aden), Syria and Bin Laden. Eritrea got its independence after 30 years of a protracted long war of liberation for dignity. Eritrea didn’t opt for unilateral declaration of independence – though EPLA totally defeated Ethiopian Revolutionary Army – against all odds, the mighty and biggest army in Africa backed by the USSR in 1991; but it put the choice of independence into a ballot box in 1993. Eritrea went after this historical vote for independence by the people into rebuilding a war-ravaged nation including but not excluding a new constitution. This process of nation building was stopped and stalled by the total declaration of all out war and attempted military invasion of Eritrea by Ethiopia from 1998 to 2018. —Eritrea has a border dispute with neighboring Ethiopia. Are there any prospects for peace? Final and binding Peace Agreement was signed in Algeria ending war in 2000. Its implementation has been stalled once by Ethiopia for the last 20 years until the new government in Ethiopia lead by PM Abiy changed the course accepting unconditionally the final and binding Eritrea Ethiopia Border Decision of 2002 and by signing Joint Declaration of Peace and Friendship with Eritrea on July 9, 2018. Subsequently Eritrea and Ethiopia relations have come to a new historic course i.e. united for peace, stability, prosperity and regional cooperation. Harmony and rule of law is essential for building political democracy and sustaining regional peace. A new chapter of history for the region is in the making, which I believe must be naturally supported by all the public and private sector of Japan. Last edited by Zmeselo on 15 Apr 2019, 17:19, edited 3 times in total.